I came across this article the other day : Putting A Value On Training. It’s an old one, but it was interesting to read that as late as 2010, only 8% of companies actively tracked return on investment in their training programmes. It seems an extraordinary statistic, that a company would spend money without considering the value they are getting for the money spent, let alone that 92% of companies apparently did this. Of course, the article is an older one that popped up on my social media feed, so it might be argued that times have changed, that it’s more likely that companies today are, in fact, tracking their training. I wouldn’t doubt that, in fact. The explosion in popularity of learning management systems over the intervening five years means the automation of training tracking has created a broader culture of far more precise reporting, and if you were to google ROI on business training you’ll find a significant number of articles suggesting that you can gauge it through metrics like the number of training courses taken by employees, the scores/results emerging from that training, the number of employees taking training, etc. Here at Optimum Results we’ve been delivering effective, results-focused business training courses for over twenty years, but we also build learning management systems (more information here), and we accept that all of these metrics are effective ways of measuring the effectiveness of training procedures and the effectiveness of an LMS or a broader training system. However, we would make a distinction between measuring that and measuring return on investment in training overall. Ultimately, while it’s absolutely correct to track both the effectiveness of training and return on the training investment, they are two different things which really shouldn’t be confused.The problem with measuring return on your training investment, we would argue, is that it’s not something that can simply be done after the training, and to complicate matters further, it’s not a simple case of measuring the same thing for every training programme. This goes to a broader structure in which effective training must take place; you don’t just throw training at your staff without carefully selecting it to meet specific business needs. Sometimes that means the measurable metric is obvious – if you invest in training for selling skills, for example, sales should go up after the training. That means you need solid, dependable sales data from before the training happens, and similar data from after. The measurement of your training ROI is not something necessarily focused specifically on the training itself – you need to know statistics like how long training takes, how many employees have taken it, how successful they were in the taking, but that doesn’t necessarily tell you anything about the ROI specifically. So, to effectively measure the return on investment in any training programme, here’s what we suggest you do. 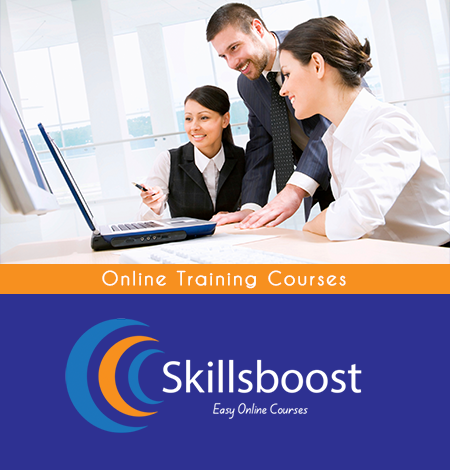 Decide what areas of your business are being addressed by the training. Is it selling skills? Project management? What are the metrics for success going to be? Sales figures? Projects brought in under budget or ahead of schedule? Select the training programme carefully – what ways will the actual training address these goals? Will you use e-learning content or classroom training? A blended approach. You need to speak to the training company you’re using, they’re the experts, they’ll be able to suggest effective ways to address the areas you want to address. Measure the same metrics after the training. Observe the changes. Have different changes happened among different teams/departments? Why is that? Were there differences in how the training was delivered, or is it simple management engagement and willingness to adapt procedures to incorporate new skills/competencies? What metrics experienced the largest shift post-training? What elements of the training were therefore most effective/least effective? How can you adapt training going forward to capitalise on the effective elements and improve the ineffective ones? Ultimately, there’s always a role for methods of ROI measurement that include talking to employees, examining how they felt the training went, how effective they found it and to what extent it supplied them with practical new skills, just as there’s a very necessary place for the kind of hard figures that a good LMS will supply you with, but neither of these methods of measuring ROI are a substitute for having strong, solid goals clearly in mind when undertaking training, and knowing exactly how you’re going to measure them.